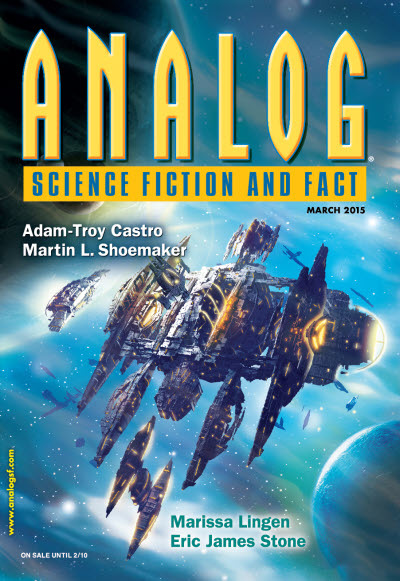 "The Badges of Her Grief," by Andrew Barton [bio] (edited by Trevor Quachri), appeared in Analog Science Fiction and Fact issue 03|15, published on December 15, 2014 by Penny Publications. Most of the story is narrated, including personal feelings. The political content is very strong, and the narrator hammers it in, in case anyone missed it. The editing was very poor, leaving in errors like "it'd have been advisable to disappoint the call for a day or two."